Campbell & Kennedy are delighted to announce that they have been awarded a contract by Scottish Borders Council to design and install photovoltaic solar panels at twelve properties, which include the council headquarters and eleven primary schools across the Scottish Borders area. The project supports the council’s Local Development Plan and once completed it is expected to contribute significantly towards its strategy to reduce CO2 emissions, directly supporting Scottish Government’s target to reduce emissions of greenhouse gases by at least 42% by 2020. 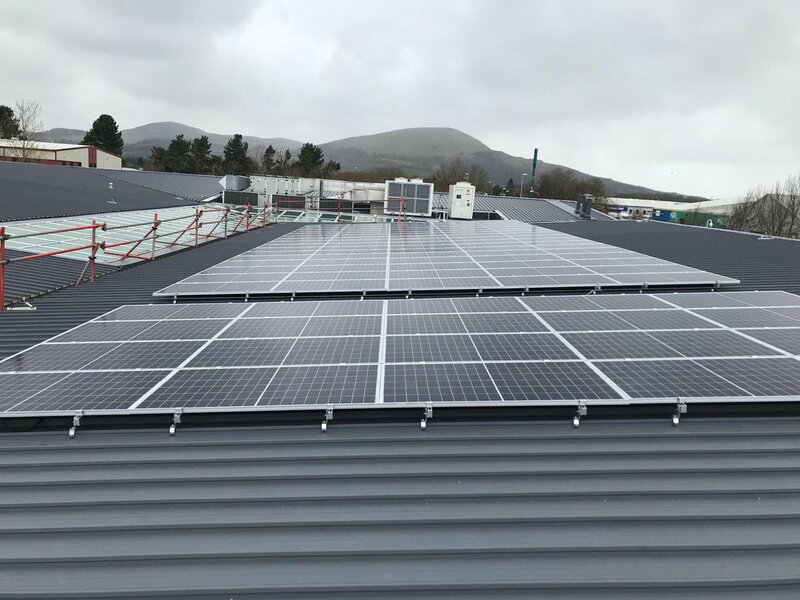 With a diverse workforce reaching almost 200 employees, Campbell & Kennedy works nationwide, providing a range of services, including industry leading solar PV installation and maintenance, for a varied range of clients. This significant contract was awarded to the Glasgow based company after a competitive tender bid through the ESPO framework. In addition to the council headquarters, the eleven schools that will benefit from the installations are – Clovenfords Primary; Galashiels Academy; Gordon Primary; Hawick High School; Kingsland Primary; Lauder Primary; Priorsford Primary; St Ronan’s Primary; Selkirk High; Tweedbank Primary; and Westruther Primary. Councillor Gordon Edgar, Scottish Borders Council’s Energy Efficiency Champion said: “We are committed to being an environmentally friendly organisation and are currently delivering our services with a considerably smaller carbon footprint. The project is likely to be completed across all sites by April 2018.